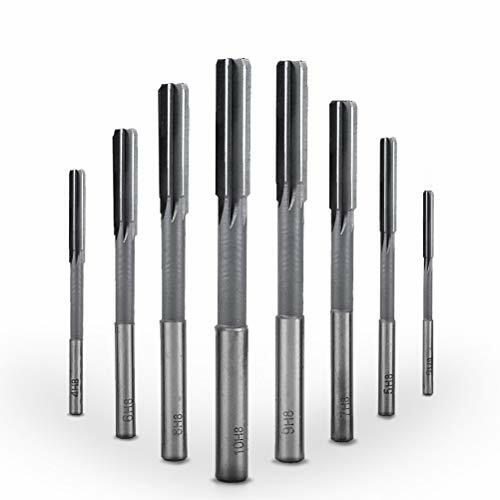 BUYGOO HHS H8 Chucking Machine Reamer is used to ream work pieces that have been drilling hole, mainly to improve the precision of hole and reduce its surface roughness. With many blades, machine reamer cuts and removes the thin layer metal on hole surface that has been processed. After the processing of a reamer, machining hole size and shape can be suitable for different components. And this set is a good tool for mold processing and handicraft processing. 1.Please make sure the diameter before purchasing. If you have any questions about this product by BUYGOO, contact us by completing and submitting the form below. If you are looking for a specif part number, please include it with your message. Drill America DWRRSP39/64 HSS Spiral Flute Reamer, 39/64"